Do I need to bring seeds? Sunday, January 27, 2019, 2-5 p.m.
Join us in January to share your seeds/scions, your knowledge, and your enthusiasm for different plant varieties with other gardeners and farmers. Connect with folks who might be your neighbors, or who might be from anywhere in our bioregion. We’ll be swapping all types of seeds and cuttings for fruit trees (scions), including heirloom seeds, seeds you save from your own plants, and extra seeds you may have purchased. There will be people on hand to answer question about how to save seed and how to graft your cuttings. The speaker will present at the Decatur Library, 215 Sycamore St, Decatur, GA 30030. The seed swap will take place at the Decatur Recreation Center, 231 Sycamore St, Decatur, GA. The Decatur Library and the Decatur Recreation Center are located adjacent to one another. This event is free and open to all gardeners – whether you are a member of a community garden, or tend vegetables and fruit in your own yard. A big thank you to Decatur Active Living and the DeKalb County Public Library for allowing us to use your facilities. Drop off seeds, books, live plants for exchange at the Decatur Recreation Center. Please note that this time is for drop-off only. The seed/scion exchange starts officially at 3:30 p.m. to ensure that everyone has a chance to browse the selection. Thank you! 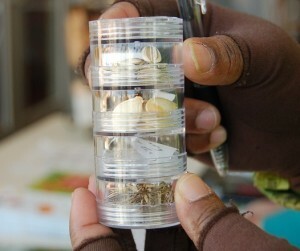 3:30 – 5 p.m.: Seed and Scion Exchange is open at the Decatur Recreation Center, 231 Sycamore St, Decatur, GA 30030. Please note that the Seed and Scion Exchange will not be open during the keynote speaker’s presentation. The Decatur Library is located adjacent to the Decatur Recreation Center. Do I need to bring seeds to share? YES! To make sure that there are enough seeds for everyone, we ask that everyone bring seeds to share. Bring what you love to grow! Seeds you buy and re-package. The minimum number of packets to share is five. There is not a maximum limit. This presentation will share information and photographs about 76 different heirloom varieties of okra grown on three different test plots in Western North Carolina: The Great Okra Trial, The Random Red Okra Trial, and the Oil Seed Okra Trial. Learn about the trials, the okras, and the new and interesting ways that okra can be used as a market crop and as a kitchen ingredient. 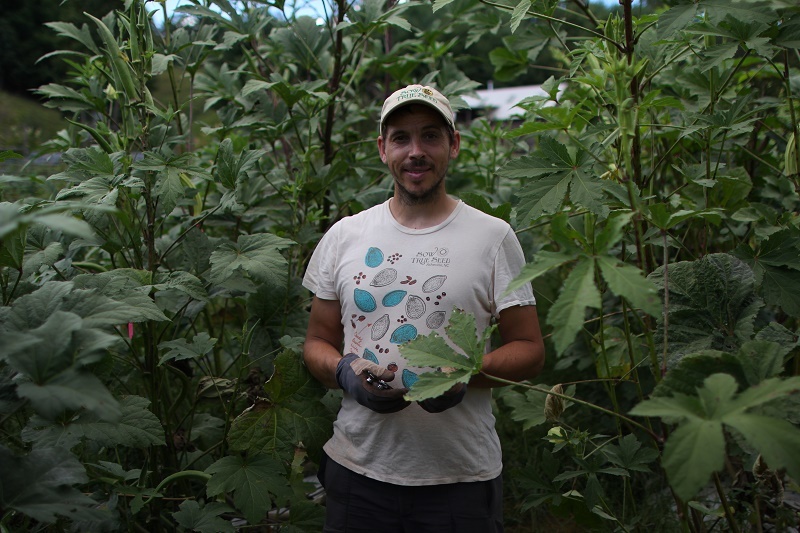 Expert okra enthusiast Chris Smith is a seed saver and permaculturist who writes regularly for The Heirloom Gardener, the Mother Earth News blog, and the Farmers’ Almanac blog. His presentations on the versatility of okra have delighted audiences at food and farming festivals and fairs throughout the Southeast. He is Executive Director of The Utopian Seed Project, Communications Manager for Sow True Seed in Asheville, North Carolina, and serves on the boards of The People’s Seed and Slow Food Asheville. His book, The Whole Okra, will be published by Chelsea Green in June 2019.
iv. Special details about flavor, color, productivity, etc. 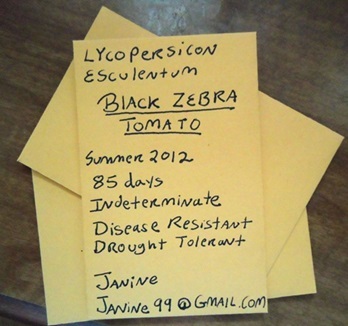 e. Your name and/or contact information – folks will want to know who they can thank for the seeds! We will be swapping scions and cuttings of any and all fruit-bearing species! Scions refer to sticks that will be grafted onto another tree, while cuttings refer to sticks that will be encouraged to root in peat moss or other growing medium. Scions and cuttings from apples, pears, pomegranates, figs, jujubes, persimmons, cherries, plums, and grapes have all been exchanged in the past. We will be exchanging dormant wood, which is wood which is not actively growing due to winter. January is a good time to collect dormant wood in the Atlanta area. 1. Select sticks from healthy, virus-free plants. Limit wood to one-year-old wood. Wood should be straight and have a lot of vegetative buds (narrow buds). 2. Wood should be between 0.25 and 0.75 inches in diameter, roughly the size of a pencil. Try to get a straight branch at least 12 inches in length. 3. Place the cuttings from one variety in a plastic bag (Ziplocks work well) and label it by variety. (For example, William’s Pride Apple, or Brown Turkey Fig). Labeling is very important, and it’s easy to get mixed up among varieties, so be careful! 4. Put in a lightly moistened paper towel or some damp wood shavings. If it’s too wet inside the bag the cuttings may mold. 5. Place plastic bag in refrigerator. Avoid placing it in a drawer with ripening fruit as the fruit emits ethylene which may cause the scion to break dormancy. 6. When you go to the Seed Swap and Scion Exchange, bring along some masking tape and writing utensil (Sharpies are good) to mark scions that you get. Bring along some extra plastic bags as well to store your wood in. Annual Seed and Scion Swap Call for Vendors! We are expecting more than 100 attendees interested in gardening-and what you have to offer them! We are excited about this year’s program and hope that you will be able to join us as a vendor for this event. *If you would like to listen to the keynote speaker, please have your table set up by 2 p.m. The vendor area will be supervised during your absence by volunteers. Otherwise you have until 3 p.m. to be completely set up. Limited, free parking is available at the Decatur Library. Additional parking is available nearby in various lots and in metered spaces on the street. Metered spaces are free after 6:00 pm. The Manuel Maloof parking lot and the DeKalb County/Courthouse deck are free after 5:00 p.m.